The 15th c. CE Shaykh Hanafi Mosque, Massawa, Eritrea -- Photograph 2005 Via Wikimedia Commons. The al Qaeda-allied Somali terrorists of Al-Shabaab ("The Youth"), and the pirates that comprise their "navy," have repeatedly gained world attention—and then been forgotten. In July, Al-Shabaab was blamed for homicidal raids in Kenya, as revenge for Kenyan intervention against the Islamist extremists in Somalia beginning late last year. Somali Islamists have also manipulated nearby states, among them the small nation of Eritrea, separated from Somalia by tiny Djibouti, which has a Somali majority. Eritreans claim a community of about 100,000 in the U.S. They are a familiar presence in Washington, D.C., and Northern Virginia, where their largest contingent—estimated at 30,000—is found. Their second biggest concentration is in the San Francisco East Bay region, with some 15-20,000. To most non-Africans, Eritreans are not much different from Ethiopians. Indeed, Eritrea came into existence through a secessionist war against Ethiopia, with which Eritrea, an Italian colony from 1890 to 1941, was federated after World War II, under a British mandate approved by the United Nations. Ethiopia annexed Eritrea outright in 1952. During the 1960s, Eritreans inaugurated their movement for independence from Ethiopia, which in 1974 became one of the African satellites of the former Soviet Union and Cuba. The Eritrean rebels leaned toward Maoist China, and joined with Ethiopian insurgents to overthrow the Marxist dictatorship in Ethiopia in 1991, gaining recognition of independent Eritrea in 1993. Ethiopia's Communist ruler, Haile Mariam Mengistu, was replaced by a former Maoist, Meles Zenawi, who died on August 20. Eritrea became a one-party regime under dictator-president Isaias Afewerki. Afewerki and Zenawi, once allies, soon turned against one another. Eritrea and Ethiopia fought a border war in 1998-2000 that left 100,000 dead and a million refugees. Through these decades, Eritrea and Ethiopia were symbols of tyranny and starvation. But Eritrean success in separating from Ethiopia was most significant in depriving the latter country of access to the Red Sea. And therein lay several problems. As foreign troublemakers, the Chinese and Russians were replaced in Eritrea by al Qaeda (while Osama bin Laden was headquartered in Sudan, to Eritrea's west) and Saudi-backed Wahhabis from across the waters eastward. Sudan-based Islamists attacked the Eritrean independence movement. As elsewhere, Saudi Arabia sponsored mosque construction in Eritrea. Eritrea's population of six million is said to be evenly divided between Orthodox Christians and Sunni Muslims. 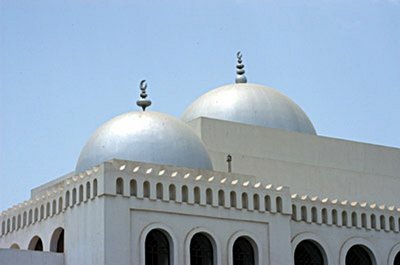 Eritrean Islam is notably moderate, and has been influenced markedly, according to Jonathan Miran, an associate professor at Western Washington University, by the Idrisiyya tradition of spiritual Sufism (which played a major role in Libyan history). The Idrisi Sufis are well known in the Muslim world for their opposition to Wahhabi ultra-fundamentalism. Their progenitor, a Moroccan Sufi, Ahmad Ibn Idris (1760-1837), went to Mecca to oppose the Wahhabis in person. He was expelled to Yemen but survived, and his anti-Wahhabi arguments are read widely among Muslim scholars today. Ibn Idris appealed for abolition of the shariah schools of Islamic law and for other reforms. Because of Sufi influence, jihadism has been weak in Eritrea—Miran describes two small Eritrean Wahhabi groups, the Eritrean Islamic Reform Movement and the Eritrean Islamic Salvation Movement, which call for the overthrow of the current regime. Yet Eritrea's position is badly compromised by the Somali problem. Eritrean Muslims, it turns out, are less useful than the Eritrean government to the Somali Al-Shabaab and pirate gangs. In 2009, the United Nations Security Council "demanded that all Member States, in particular Eritrea, cease arming, training, and equipping armed groups and their members including Al-Shabaab, that aim to destabilize the region." The Security Council stated, "the Government of Eritrea has continued to provide political, diplomatic, financial and—allegedly—military assistance to armed opposition groups in Somalia." In three years since then, the situation has not changed. As spelled out by the U.N., Al-Shabaab in Somalia cultivated allies in the Eritrean party-state for a proxy war against Ethiopia, which the Somali jihadists accuse of controlling Somalia's feeble government. In March 2012, Ethiopia sent troops across the Eritrean border to shut down three bases training armed combatants against Ethiopia, the first confrontation between the two countries since 2000. Further, a so-called "Alliance for the Re-Liberation of Somalia (ARS)" operates from Eritrea. As the U.N. disclosed, "Since the Somali passport is not considered valid for travel to most countries, the Government of Eritrea provided Eritrean passports to ARS leaders, as well as at least one senior Al-Shabaab leader, Mukhtar Roobow." Roobow reportedly fought in the ranks of the Afghan Taliban, and worked in Somalia for the Saudi-based Al-Haramain Foundation, declared a Specially Designated Global Terrorist organization in 2004 by the U.S. government. Roobow has served as the chief spokesperson for Al-Shabaab, in cooperation with an Alabama-born Syrian-American jihadist, Omar Shafik Hammami, alias Abu Mansur Al-Amriki (i.e. "the American"). Hammami was president at the University of South Alabama in Mobile branch of the Wahhabi-dominated Muslim Students Association of the U.S. and Canada (MSA) when the atrocities of September 11, 2001 occurred. In the following decade, he went to Somalia and joined Al-Shabaab, along with a cohort of Somali-Americans from Minnesota. The Somali authorities announced that Hammami was killed by a Predator drone in 2011, but the death was never confirmed, and Hammami released an online video mocking the assertion. In May 2012, he posted a new series of jihadist videos, indicating he is still alive. 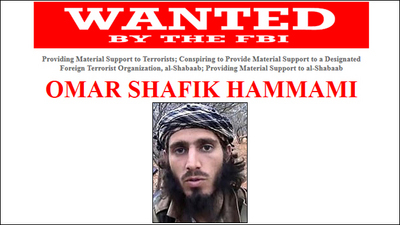 In the meantime, however, he was indicted in federal court in Alabama on terrorism charges, and is wanted by the FBI for "providing material support to a Designated Foreign Terrorist Organization," namely, Al-Shabaab. Somali maritime piracy is especially worrisome since significant tanker operations have been transferred by Saudi Arabia from the Arabian Gulf and the Strait of Hormuz, which is vulnerable to Iranian aggression, to old pipelines and terminals on the Red Sea. The UN has noted that "pirate militias" emerged from Somali regions controlled by Al-Shabaab. By providing cover for Al-Shabaab, Eritrea has enabled the expansion of piracy. A useful summary published by Daniel L. Pines of the Central Intelligence Agency, entitled "Maritime Piracy: Changes in U.S. Law Needed to Combat this Critical National Security Concern," argues that "the United States possesses numerous legal options to combat piracy. However, the actual U.S. effort thus far has been fairly limited. True, its naval ships patrol the oceans around Somalia, but the U.S. strategy, as well as that of other nations patrolling such waters, appears to be mostly one of passive deterrence. Pirates may be attacked if they first attack a vessel in the region, but more likely, once the pirates' plans are thwarted, the pirates are generally allowed to escape without any major ramifications." 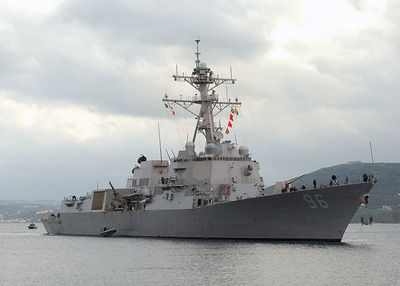 Pines offers four recommendations for improved U.S. response to piracy. These include increased prosecutions by the United States, enhancement of anti-piracy proceedings by countries near pirate zones (including, for example, Kenya), and eliciting permission for "hot pursuit" of pirates into local territorial waters. Most countries prohibit such entry of their offshore jurisdictions—Somalia's Transitional Federal Government, which authorizes such a response and was supported in doing so by the U.N., being an exception. More important in Pines's roster, however, is his suggestion to "allow ships to better protect themselves." He describes deterrent policies that include "on-board security systems by installing fire hoses, electric fences, barbed wire, bright lights, alarm systems, tracking devices, and even devices that emit ear-splitting pulses towards a targeted area . . . placing weapons aboard ships or hir[ing] private security companies to emplace armed personnel on vessels." He recalls the 2009 seizure by Somali pirates of the U.S.-registered container ship Maersk Alabama, operating between Yemen and Somalia. In that incident, four pirates took the ship's captain hostage in a lifeboat after the vessel's engines were disabled and the rest of the crew sheltered in safe rooms below decks. Pines observes, "the attack marked the first time that an American merchant vessel had been boarded by pirates since the early 1800s." It ended when the destroyer USS Bainbridge, which had been following the lifeboat, employed snipers from Navy Seal Team Six (the same unit that later eliminated Osama bin Laden), who efficiently killed three of the pirates, with one shot each. The fourth pirate, a Somali named Abduwali Abdukhadir Muse, had surrendered previously and asked for medical treatment. Muse was tried in the U.S. and sentenced to 33 years and nine months in prison. The Maersk Alabama has been harassed several times since, and on each occasion pirates have been repelled by gunfire and noise weapons. Somali Islamist terrorism, including piracy, should be opposed forcefully, on land, sea, and in the air. Arming merchant ships for their defense is one tool; heavier sanctions against states like Eritrea that assist terrorists on the pretext of their national, non-ideological interests, is another.